Lock in a great price for Manoir de la Houlette – rated 8.4 by recent guests! We were welcomed by a charming lady who told us everything about her nice estate and the way she refurbished it (most of it herself so congratulations). The view from the terrace in the morning for breakfast can't be matched ! 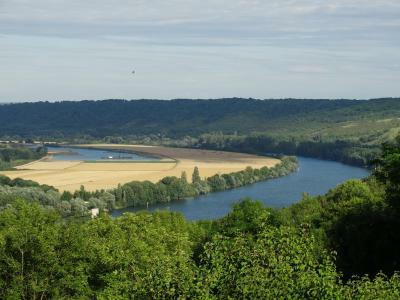 The area surrounding the property was very pretty with a spectacular view of the Seine river and country side. Friendly hosts. Tidy and quiet sleeping quarters. Pet friendly! Accessibility was very good, we had a warm welcome, breakfast was served on the terrace which has a wonderful view down the hillside to the river, breakfast was good and there was plenty of everything required. Basic but clean. Very nice owners. Lovely grounds. 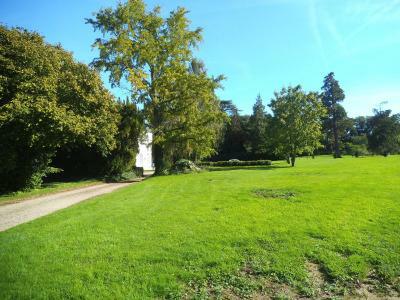 The setting of the Manoir was magnificent with lovely views over the Seine, and a well landscaped garden. Very comfy bed. Very good breakfast and very welcoming host. Also very obliging in finding some food with late arrival. Beautiful room with excellent personable service by the host. Excellent breakfast served in the grand manor dinning room. Room was newly renovated. The setting and location was excellent, with an absolutely stunning view from the Manoir.Room was spacious,clean and well appointed. Good for an over night or 2 night stay to explore the area. The whole place was lovely. The host was friendly and helpful. The breakfast was excellent. The room was spacious, well decorated, very comfortable and with a lovely ensuite. Everything was so clean and bright. Located in the countryside of Saint-Pierre-du-Vauvray, Manoir de la Houlette is set in a 4-hectare park with views of the Seine River. It offers B&B accommodations and Val de Reuil business center and Golf du Vaudreuil is 1.9 mi away. 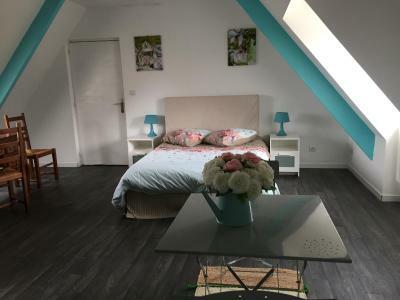 Set in an independent house, the rooms at Manoir de la Houlette feature a flat-screen TV, free Wi-Fi and a garden view. 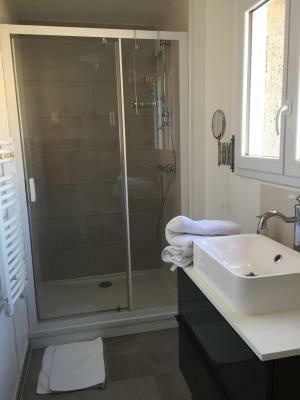 Each room also includes a private bathroom with a shower, a hairdryer and free toiletries. A continental breakfast is included and served daily in the dining room or in the comfort of the guest rooms. An equipped kitchen is available to guests. Free private parking is possible on site and Giverny is 16 mi from the B&B. 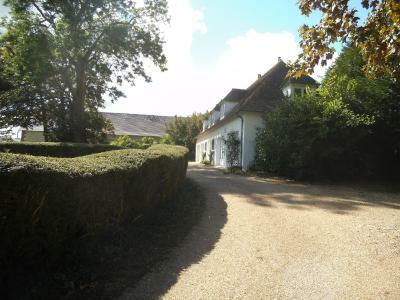 Manoir de la Houlette is 1.9 mi from A13 Motorway and 19 mi from Rouen. When would you like to stay at Manoir de la Houlette? Offering a garden view, this room features a flat-screen TV and free Wi-Fi. 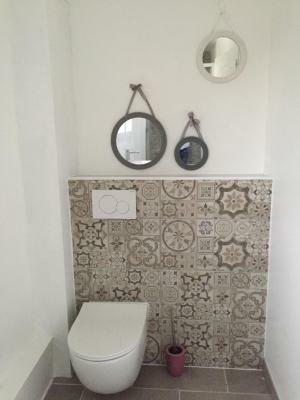 The private bathroom is fitted with a shower, a hairdryer and free toiletries. This studio features a desk and a furnished kitchenette including an electric kettle, coffee machine and kitchenware. House Rules Manoir de la Houlette takes special requests – add in the next step! Manoir de la Houlette accepts these cards and reserves the right to temporarily hold an amount prior to arrival. The accommodation was not in the Manoir but in an annex behind. It was not clear when booking that we needed to order dinner in advance and so we had to go elsewhere to find a restaurant. Exit to a fast road and car dependency. I got there after dark and was unable to enjoy the view of the Seine. Would have benefitted from better ventilation and/or air conditioning. Really helpful hostess, and modern room quite well equipped. Nothing to say. It was perfect. Small bed. No proper dining room poor breakfast 2 croissants and 4 chunks of bread with jam cold coffee. Unfortunately this property doesn't register well on the GPS so we turned off the main highway on to D6015 (which is the local hwy) and had to drive around to find #3 on the opposite side of the highway. We were warmly welcomed by Jing, the owner of the property. We were housed in a annex building similar to a cottage atmosphere where there has been 4+ units updated for guests. 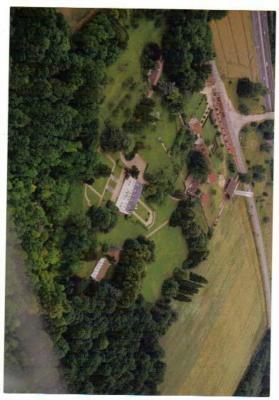 The gardens are beautiful and spacious with a lovely view of the valley and Seine. Loud traffic from the road and noisy bathroom pipework so could hear other people next door.